Lately, it seems like everyone wants to buy — or sell — an independent hotel management company. And this may be one of the best times to do so in a long while. Here are some thoughts on this timely subject by two of our hotel lawyers who have just completed a successful sale of an independent operator. One of the hottest trends right now is buying (or selling) independent hotel management companies. The demand is coming from all directions – existing management companies, investment funds and foreign buyers. Existing management companies are scrambling for market share, economies of scale and strategic markets. Investment funds are looking for the direct control over their hotel investments through a captive management company as well as attractive economic returns that a great independent operator can achieve with limited capital investment and risk compared to hotel investment. And foreign owners share many of these goals, and see the acquisition of a hotel management company as a solid way of entering into the hotel market in the United States. From the potential seller’s standpoint, the timing may be optimal for a sale at this point in the cycle. A management company’ sale price is typically negotiated as a multiple of earnings. Traditionally, this multiple is four to six times earnings before interest and taxes, after making adjustments for expenses that would not continue to the buyer, and deducting from the price any interest-bearing debt that the buyer assumes. However, in this market, hotel management companies with a proven track record of performance, and a high quality (sustainable) earnings stream can command a price well in excess of six times earnings before interest and taxes with multiple suitors. The demand is there, but the process is complex. For the latest articles on this subject, please click here. Some are calling it the “distressed real estate gold rush in Europe.” Others who have been expecting 1990s-style opportunistic investment opportunities for several years, now are seeing a change in European banks’ willingness to sell distressed loans at discounts to clean up their books. Several significant deals have been announced with big name investors and more are underway. What is happening? And what is the opportunity for investors? Is it too late already? Following the U.S. economic crash, Europe fell into recession and largely remains mired in a sluggish economy, high unemployment and depressed real estate values. European banks have suffered greatly along with their customers as real estate loans have soured. According to a recent PricewaterhouseCoopers report, European banks were finally recognizing approximately $1.4 trillion in nonperforming loans at the end of 2013, up from $715 billion in 2008. For years after the financial crisis, the European banks were not marking down the loan collateral and classifying their loans. They took no decisive action to deal with their bad loans. But now that is changing. European banks are at an inflection point. According to the PwC report, in 2013, banks sold $90.5 billion worth of troubled debt to investors, compared with $64 billion in 2012, an increase of more than 40%. The European Central Bank is the driving force in this new development and 2014 is likely to set new records. Troubled loan purchases or restructuring deals are on a dramatic rise. Deals have been announced by the likes of Oaktree Capital Management, Apollo Global Management, Centerbridge Partners, Angelo Gordon, Kohlberg Kravis Roberts and Goldman Sachs. Hotel Lawyer in Los Angeles: Why does it seem like everyone wants to build or buy a hotel in downtown LA? It’s the “Renaissance of DTLA,” silly! America’s Next Great City Is Inside L.A.
For decades, Downtown has been the dark center of L.A.: a wasteland of half-empty office buildings and fully empty streets. But amid the glittering towers and crumbly Art Deco facades, a new generation of adventurous chefs, bartenders, loft dwellers, artists, and developers are creating a neighborhood as electrifying and gritty as New York in the ’70s. Brett Martin navigates his way through the coolest new downtown in America. What does this “renaissance” mean in terms of the LA market for hoteliers? Expanding markets are good for the hotel business. 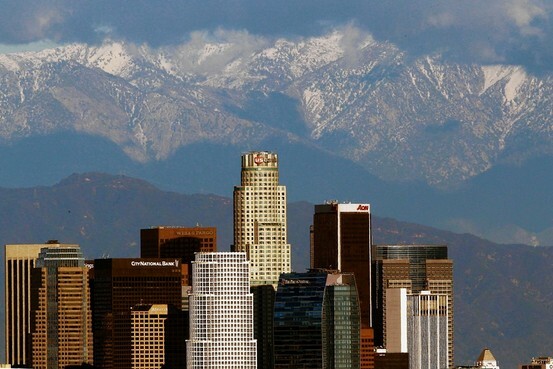 DTLA has become a destination and a hub of activity and excitement. Los Angeles has had so little hotel development over the past few decades, that it is one of the most underserved markets in the US now. And as hotel room rates jump, it is suddenly feasible to buy or build hotels that made no economic sense just a little while ago. Jeffer Mangels Butler & Mitchell LLP (JMBM) is pleased to announce the successful closing of a number of hotel and real estate purchases by members of its Chinese Investment Group™. The attorneys in JMBM’s Chinese Investment Group™ help Chinese investors make investments in the United States – particularly those involving hotels and real estate. They also provide guidance on corporate structure, formation, tax issues, governance and regulatory compliance. JMBM’s Hotel Lawyers help Chinese real estate developer buy 802-room Sheraton Gateway LAX for $96 million. The hotel lawyers of JMBM’s Global Hospitality Group® and Chinese Investment Group™ assisted Hazens Investment, LLC, in the company’s purchase of the 15-story, 802-room Sheraton Gateway LAX Hotel, located close to Los Angeles International Airport. Hazens Investment is a subsidiary of Shenzhen Hazens Real Estate Group Co. Ltd., one of the top 100 largest construction and development companies in China, based in Shenzhen, China. Hazens Investment and the seller, an affiliate of Long Wharf Real Estate Partners, closed the deal on November 19, 2013. “With a great deal of experience in representing Chinese investors over the years, we have formed a special practice group to assist China-based clients in successfully closing transactions in the U.S.,” said Jim Butler, Chairman of JMBM’s Chinese Investment Group™ and Global Hospitality Group®. The acquisition of the Sheraton Gateway marks Shenzhen’s first U.S. based acquisition. JMBM’s Chinese Investment Group® is a dedicated team of hotel, real estate and corporate lawyers that advise Chinese investors in making prudent and economically successful investments in hotels and real estate in the U.S.
A version of this article was first published in the September 21, 2013 issue of Hotel Business and is reprinted with permission. The number of hotel transactions is up by more than 50% for the first 6 months of 2013 over the comparable period last year, and is expected to top $18 billion for 2013, according to Jones Lang LaSalle. And HVS reports that the sales transaction volume of hotels is now intersecting its 22-year moving average, and predicts that hotel values will continue to grow at an average of 12% for each of the next 3 years (substantially less than the past couple of years, but still a nice increase in value). But how can it be a great time to buy and sell hotels? Why does the same environment indicate such different courses of investment strategy? We will look at some of the factors that create this fertile ground, while keeping in mind that every owner and investor has a specific circumstance, investment horizon, capital situation and objective, and every hotel property has a specific condition, value, and potential for additional appreciation. JMBM’s Global Hospitality Group® announces publication of the How to Buy a Hotel Handbook. The Global Hospitality Group® of Jeffer Mangels Butler & Mitchell LLP (JMBM) today announced the release of the How to Buy a Hotel Handbook, third in the “We Wrote the Book™” series of handbooks published by the Group’s hotel lawyers. Jim Butler is the Chairman of JMBM’s Global Hospitality Group®. The How to Buy a Hotel Handbook is based on the experience Jim’s team has gained from more than $87 billion of hotel transactions involving more than 1,300 hotels all over the world. The Handbook provides a detailed overview of the hotel acquisition process, a thorough due diligence checklist, and informative articles that address some of the most important questions that arise when buying or selling a hotel. Hotel Lawyers with Lodging Industry assessment: Demand is strong, supply is weak. RevPAR is healthy. What’s not to like? There is a growing optimism among industry veterans and many of them are revitalizing acquisition (and a few development) projects. The level of activity has kicked up a notch or two. One thing that everyone likes: barring unforeseen events, the stage is set for continuing improvement in hotel industry fundamentals and hotel valuations for at least 5 years – through 2017. This presents a very attractive backdrop for investors, and experienced investors are already putting their plans in motion. Hotel Lawyer with some great information for our friends who want to know more about how to buy a hotel. Bruce Baltin and I are very excited to announce the release of a publication that has been in the works for many years (see below). As most of you know, Bruce Baltin is Senior Vice President of PKF Consulting. He has been a long-time friend, and great resource for help on anything involving the hotel industry. As the title suggests, this publication is an “overview.” However, at almost 30 pages, it is quite a detailed overview of the entire hotel acquisition process.